Jo Topps is a WestEd K-12 Alliance Regional Director serving the greater Los Angeles area. Her work is focused on how all of us, from the teacher to the state department of education, can help teachers reflect on their practice and its impact on student learning. 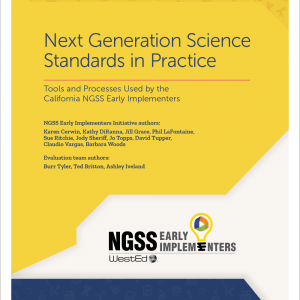 Topps contributes to the development and implementation of professional development programs, including grants from the California Postsecondary Education Commission (CPEC), California Math and Science Partnership (CAMSP), and the FOSS Leadership Academy. She has served on state science committees and as a co-developer for BSCS/WestEd National Academy for Curriculum Leadership (NACL), professional developer for the TERC/WestEd Using Data Project (UDP), mentor for the National Academy for Science and Mathematics Education Leadership (NASMEL), and professional developer for the Center for the Assessment and Evaluation of Student Learning (CAESL). She also served as the conference chair for the California Science Teachers Association (CSTA) 1999 statewide conference. Her publications include Assessment-Centered Teaching: A Reflective Practice; a chapter in Professional Learning Communities for Science Teaching: Lessons for Research and Practice; and an article in Principal Leadership. She is an adjunct faculty member at California State University, Long Beach. Topps received a BS in social science from the University of California, Irvine, an MS in education from California State University, Fullerton, and is a Doctoral Candidate in educational leadership at the University of La Verne.